1. Because it may be the one movie (along with “The Wizard of Oz”) almost everybody’s seen, but never on the big screen. 2. ...and speaking of your TV: because you usually see it through heavy eyelids in a turkey-induced tryptophan coma. 4. Because Mary Owen, the daughter of Donna Reed (a.k.a. George Bailey’s beloved Mary Hatch), will present the film in person at Friday and Saturday’s 7PM shows and Sunday’s 3:55PM show. 5. Because you know it’s going to get a little interactive – just try not to yell out the line about an angel getting its wings. 7. Because sometimes, it’s good to cry out in the open, next to total strangers. 8. 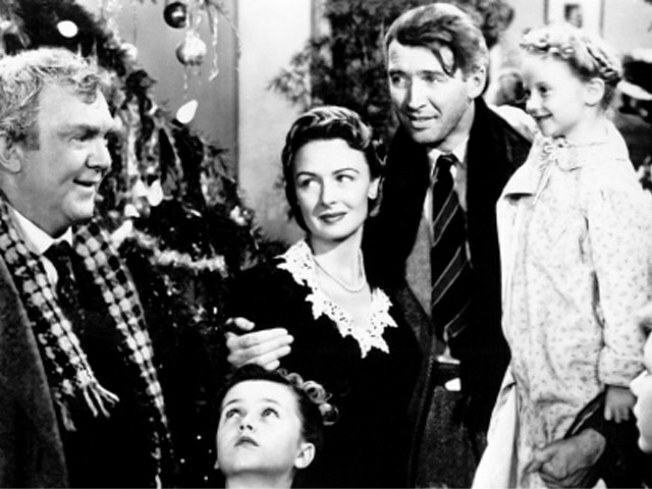 Because you can: “It’s a Wonderful Life” is playing in a special one-week engagement from Friday, December 18 to Friday, December 25. See the complete schedule here. IFC, 323 Sixth Avenue; 212-924-7771.